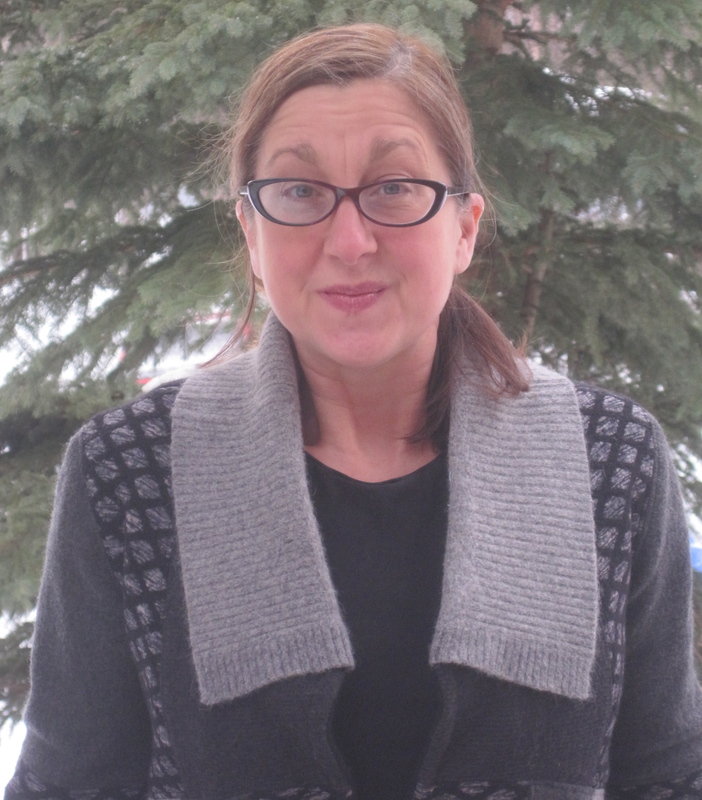 I have been a quiltmaker for more than a decade and a seamstress (loosely defined) since the age of four, but I only recently started to design my own garments. I tell myself, I don’t know what I am doing, but that shouldn’t stop me from trying. I study books, dig for information on the internet, and experiment in my studio. Part of what makes my designs interesting and also puzzling is that I use repurposed materials as my textiles. I am not using yardage, so even if I am using a commercial pattern as the basis for my design, I have to add additional lines and seams to grow my fabric into a garment. 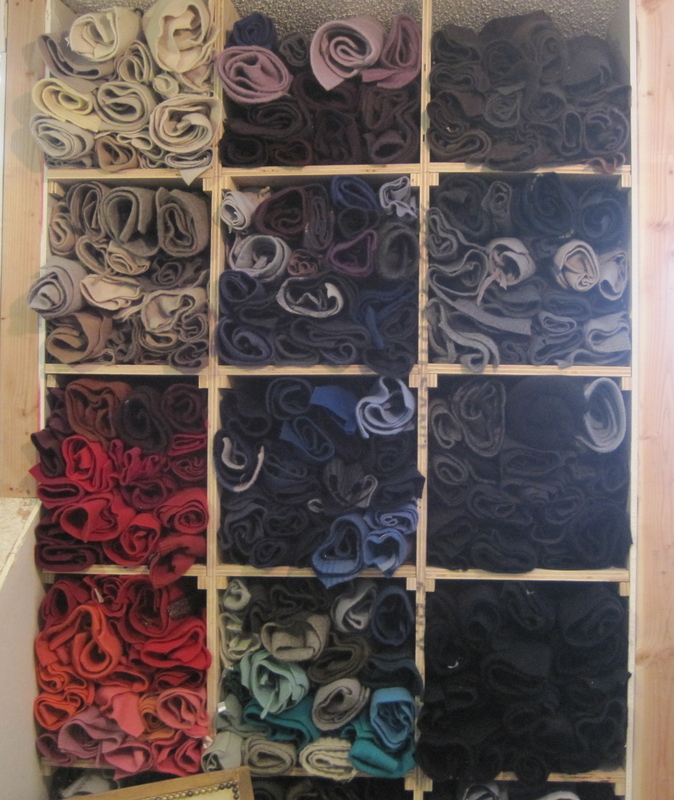 Here is my stash of felted wool sweaters filleted and ready to be used as fabric. 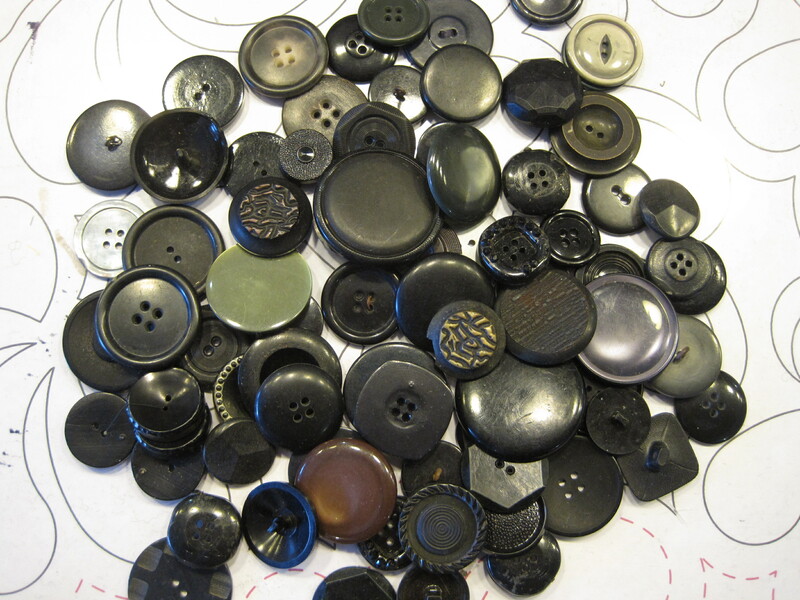 To create my patterns, I use an assortment of methods. I like to find garments at the thrift stores that I can cut up and draft patterns from. I used this method when designing Sarah’s sweater. I like to use simple vintage patterns as slopers. 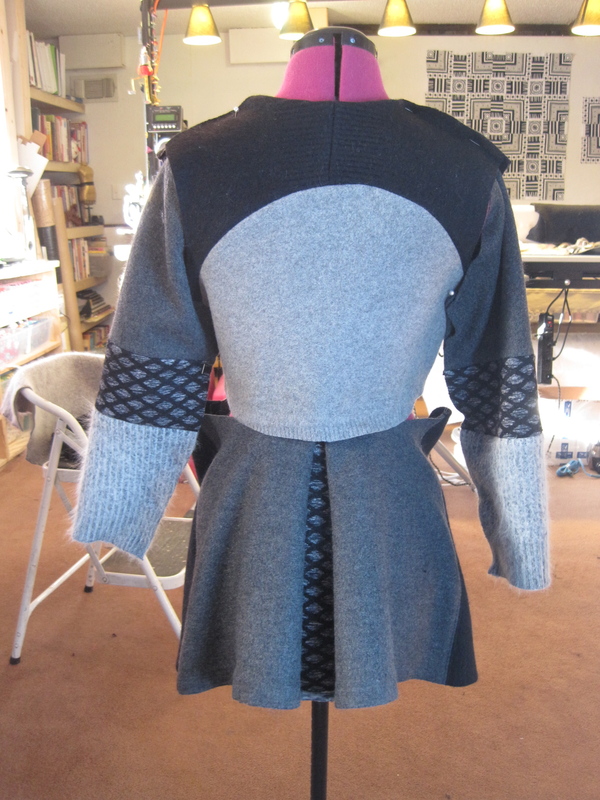 I then add new seam lines to create the final garment. 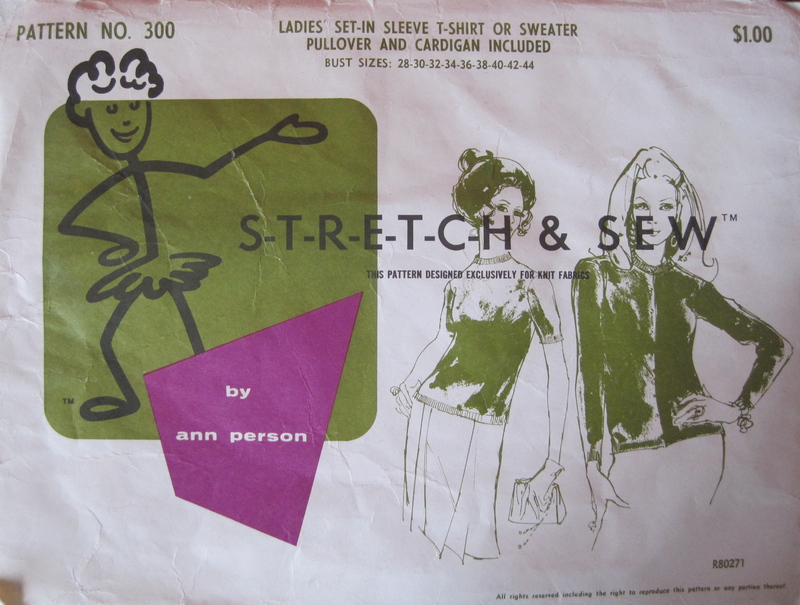 I used this method to make the Spring Frock and the MOD Sweater. 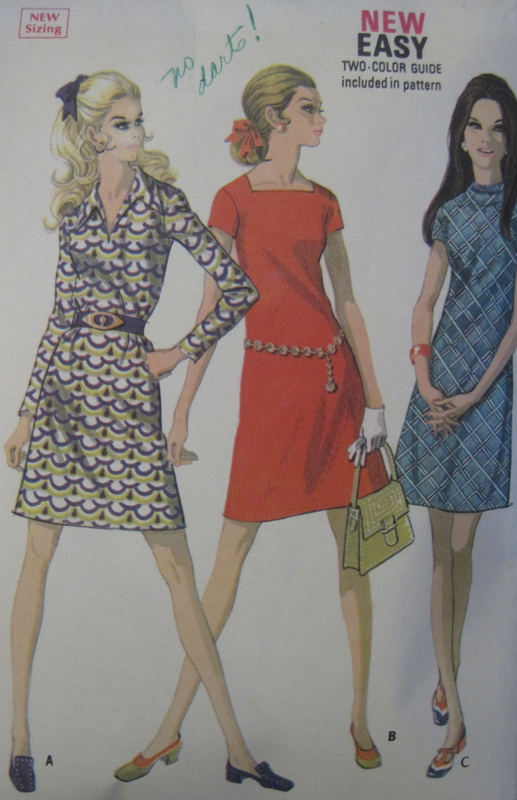 Here is the pattern the Spring Frock is based on. Here is the pattern I used for the MOD. 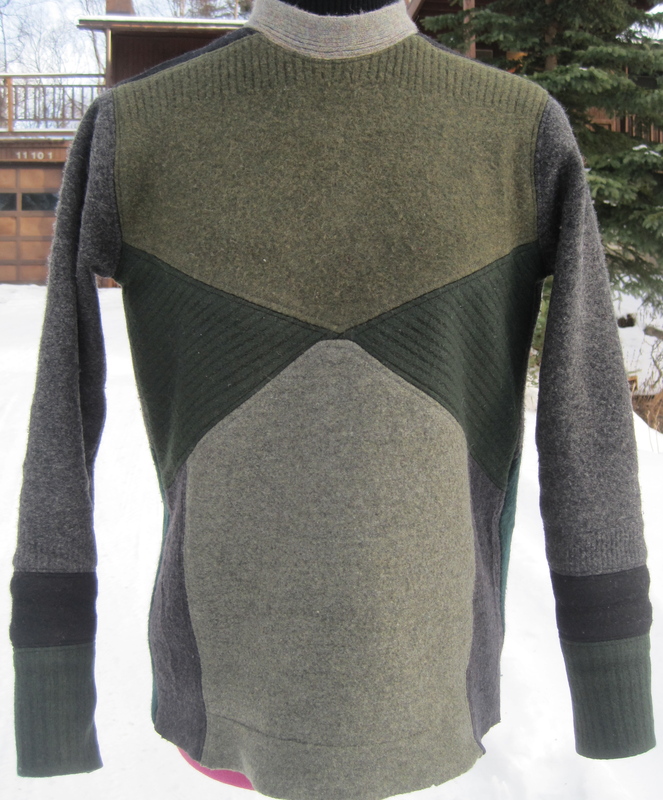 And here is the MOD sweater. And sometimes I take complex patterns and see if I can stretch my “fabric” to create the design. 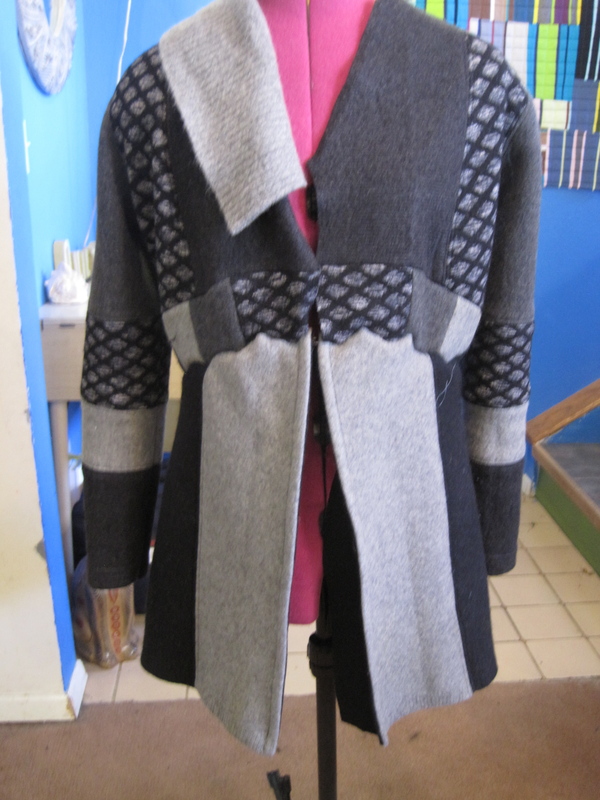 That is what I did when I created my favorite garment of 2013. 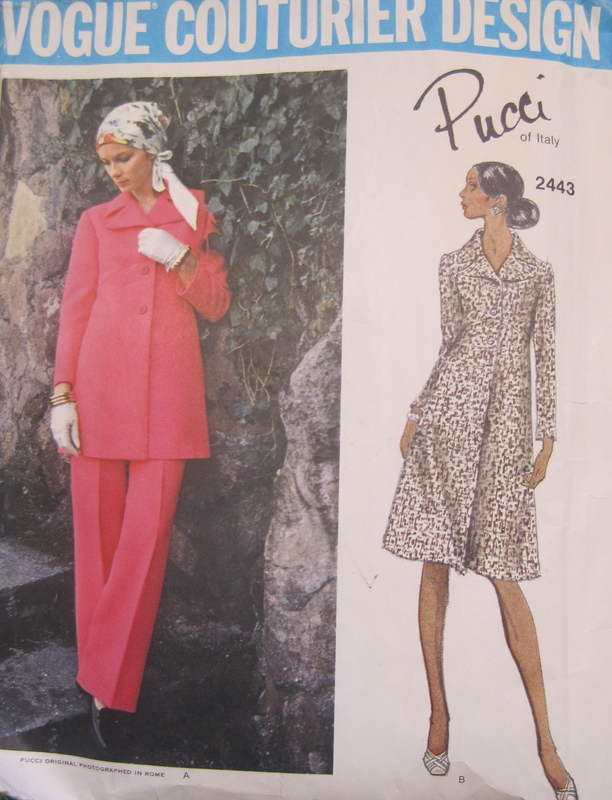 It is based on a vintage Pucci coat pattern. Isn’t it gorgeous? 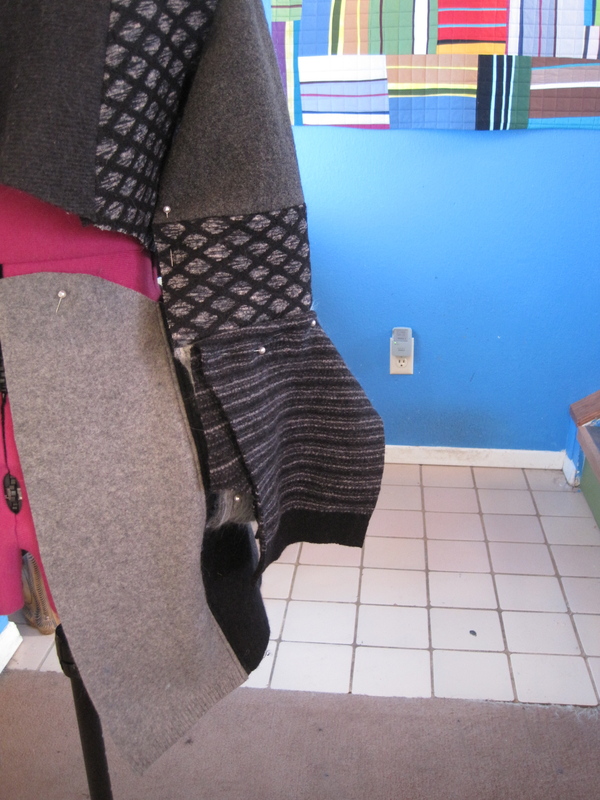 I picked my palette which usually consists of at least five to seven filleted sweaters of contrasting colors. I build the jacket piece by piece. Making fabric decisions as I go. 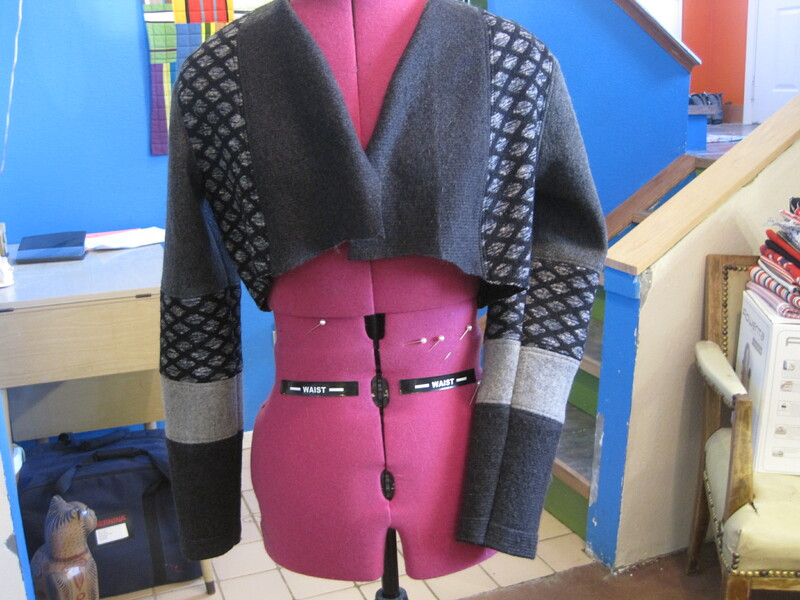 I will audition several fabrics for each area of the jacket. It is like a quilt in that it is patchwork. But because it is a garment, it is 3-D and you have to be thinking about things from all angles. 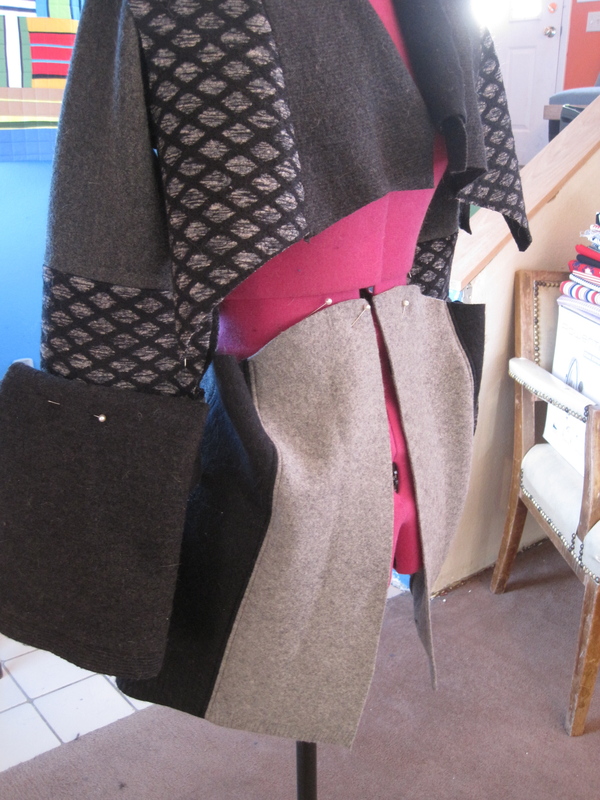 I decided to piece the waist of the jacket out of smaller bits of fabric. 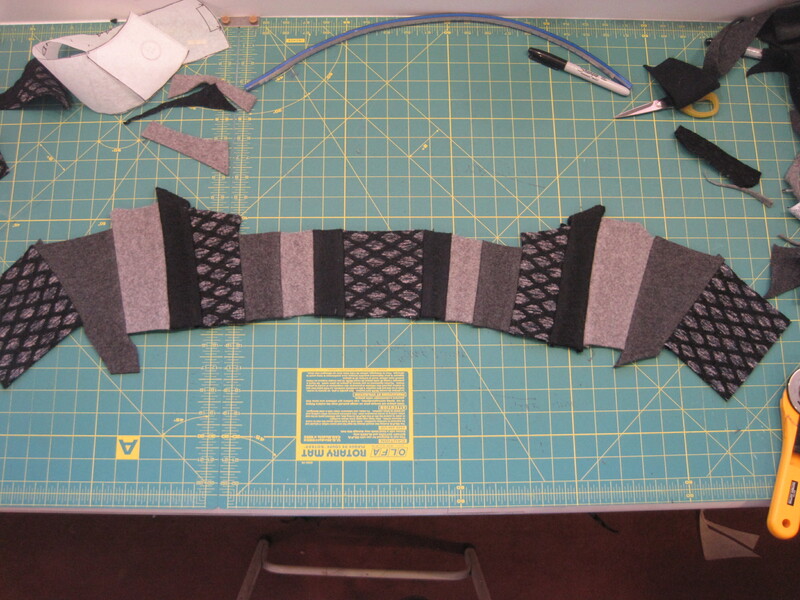 I pieced it in the same gentle curve as the pattern tissue. 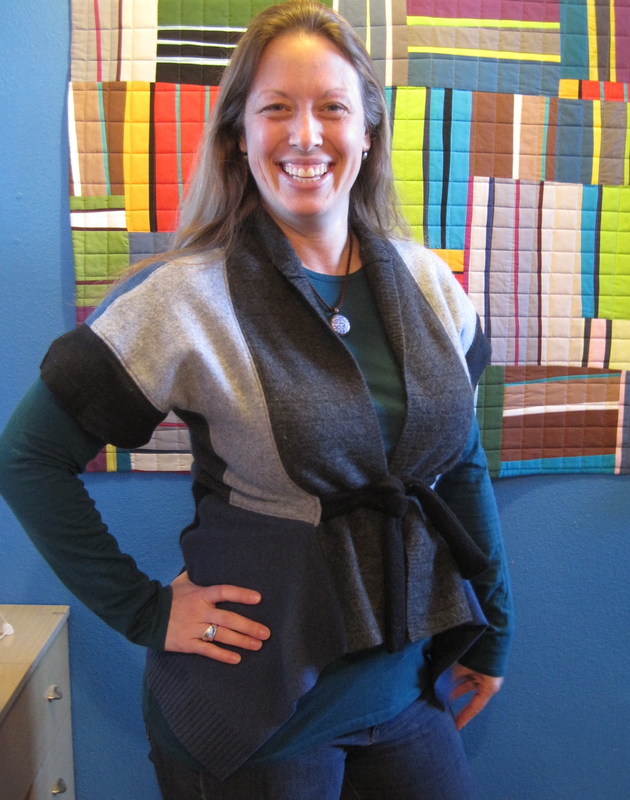 I created a collar out of a sweater edge. 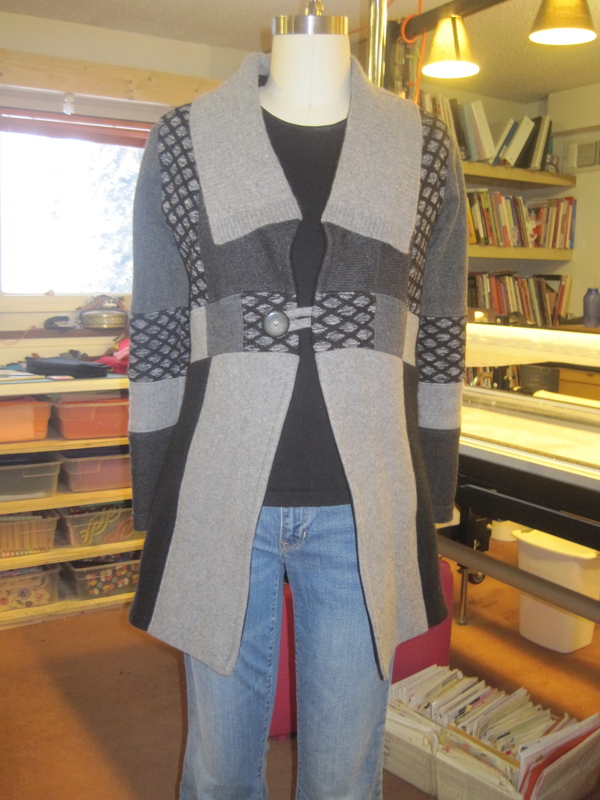 Using the edges of old sweaters as the edges of the new garment tends to work really well. The finished edge is sturdy, and you don’t have to hem it. I got to dig in my vintage button collection to pick a favorite. Here is the final design on my new dress form. For the past year, this has been my garment of choice for special occasions. I will be wearing it at this year’s Object Runway. Now the big question is–what will my models be wearing? I better get down to the studio and figure that out. 20 Jan	This entry was published on January 20, 2014 at 9:26 AM. It’s filed under ArctiCouture and tagged Sweater Stories. Bookmark the permalink. Follow any comments here with the RSS feed for this post. Wow, what a fabulous sweater! Love the back! Thank you Diane–that kick pleat in the back is pretty special. You are simply amazing, Maria! Sandy- You are pretty special too. World’s best domestic machine quilter thank you for stopping by. Thanks Trudy! Congrats on your grandson. That’s wonderful news. I love how you tackle the world! Very nice sweater, good luck on the runway! How is your tackling going? I will say that once Object Runway is over on Thursday, I am taking Friday off! Rock on, Maria. Rock on. I am not sure I would want to take that sweater off. Love it! I know. I was really surprised at how good it turned out. You rock Maria! Can’t wait to see your other runway creations! Thank you Kerri. I have been working long hours trying to get these creations made. I,too, can’t wait to see them!